Ensuring sustainable development is the responsibility of not only the mining company but also various Federal, State and local agencies including the United States Environmental Protection Agency, Illinois Environmental Protection Agency, Mine Safety and Health Administration and Illinois Department of Natural Resources. This involves a proactive approach to land, water, and air protection for present and future generations. In addition to ensuring mine worker safety, a mine operator must obtain permits and comply with strict regulations that control land use and limit pollution to the air and waters of Illinois. 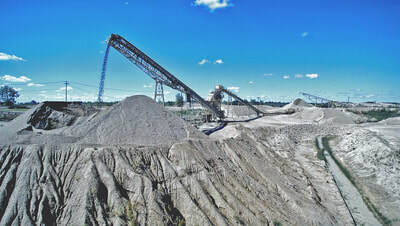 Depending on the size and type of mining operation, a mine may be required to obtain a land reclamation permit from the Illinois Department of Natural Resources and comply with state blasting requirements, obtain air and water pollution control permits from the Illinois Environmental Protection Agency and comply with zoning, and in some jurisdictions sub-surface water quality monitoring, requirements set by municipal or county agencies. 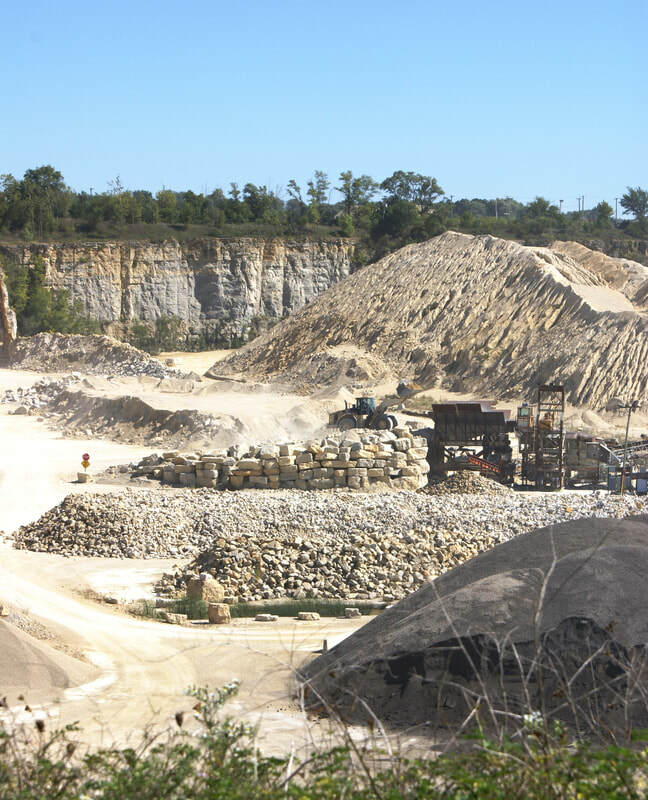 The Illinois Department of Natural Resources (IDNR) requires a Surface Mining Permit for all operations that affect over 10 acres per year by mining or remove more than 10 feet of overburden (soil on top of the rock or mineral being extracted). A Surface Mining Permit application requires the operator to submit an operating plan that illustrates how the land will be affected by mining operations as well as a reclamation plan that describes how the mined land will be restored for future use. The mine reclamation plan must be submitted for review to the County Board in the County where the mine is located. If the County Board requests, a public hearing will be scheduled by the IDNR to receive comments on the proposed reclamation plan. 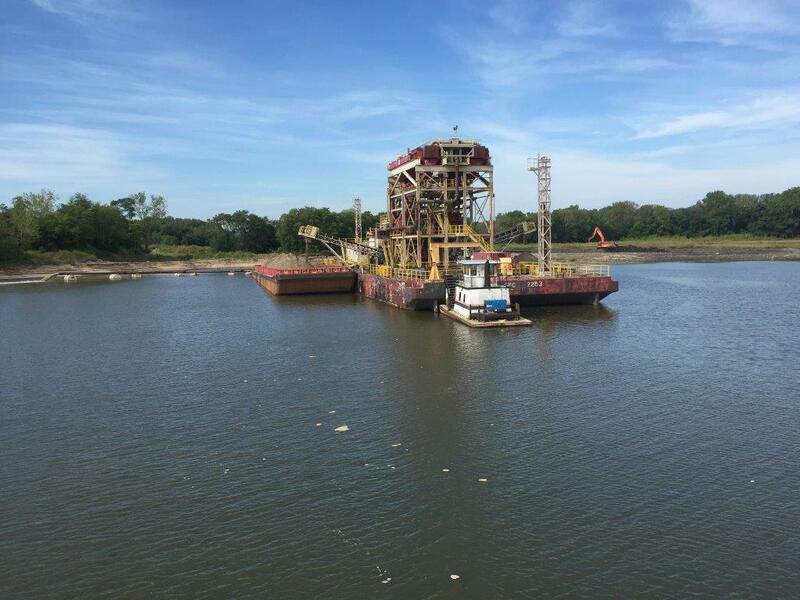 In order to receive a Surface Mining Permit, the operator must post a bond with the State of Illinois that obligates the company to perform the activities specified in the reclamation plan. Mine inspections are performed annually by IDNR representatives; progress is mapped via aerial photography. Reclamation bonds can only be released if the IDNR inspector finds that enough work has been completed to allow the property to be returned to a productive use, as set forth in the operator’s reclamation plan. If the operator fails to comply with the approved reclamation plan, the State may file a claim against the amount of the bond. The State then uses the bond proceeds to complete the reclamation of the mined land. The State’s aggregate mine regulatory program was enacted more than 40 years ago. To date, only one aggregate mine in Illinois has failed to comply with its reclamation plan, thereby triggering bond forfeiture. 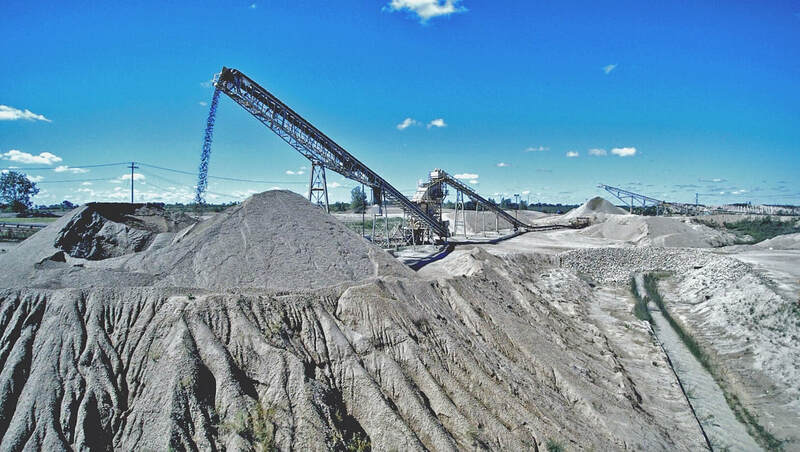 The reason for this excellent industry track record is apparent – the residual value of reclaimed land is simply too valuable for a mine operator to walk away from. If mining operations are to occur in unincorporated areas, a mining company must apply for a Special Use Permit. Before granting a Special Use Permit, public hearings are held and comments are considered. After comments are received, the County Board votes to approve or dismiss the permit application. In some instances, the County may require permit conditions such as restricted hours of operation, blasting vibration limits below what is allowed by State law, lighting restrictions, prescribed vegetation on berms around the property, or various agreements with neighboring homeowners. Municipalities may adopt similar application procedures for mining operations. Mining in Illinois is regulated by the Illinois Environmental Protection Agency (IEPA). The IEPA Bureau of Air is in charge of enforcing Federal and State air pollution regulations. Mine operators are required to obtain a construction and/or operating permit from the Bureau of Air for the regulation of pollutants generated by the operation. Mine operators are also required to file an Annual Emission Report to the IEPA each year outlining their emissions based on recorded production levels and emission rate factors generated by USEPA research data. 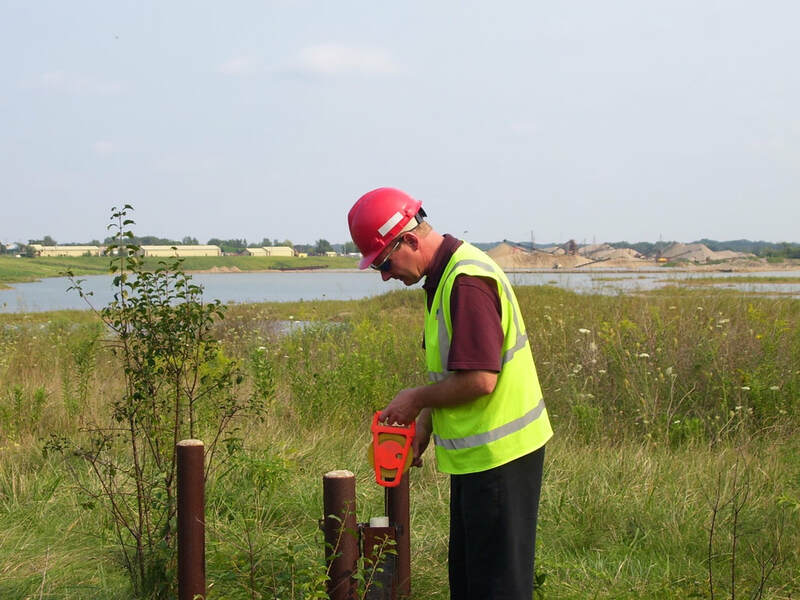 Operators are also required to submit reports to the IEPA when site operations deviate from the conditions contained in the construction or operating permit for the site. When new equipment is introduced into the production process, operators are required to notify the IEPA and may be required to test the equipment to ensure compliance with limits and submit the test results within a specified period of time. In 1990 USEPA adopted Storm Water Discharge Regulations; most states received delegation for these rules in 1992. Since that time, states require every business and industry to control “industrial” storm water discharges so it does not further contaminate lakes, rivers and streams. To ensure businesses and industries implement controls, storm water discharges from their plants, sites, or projects must be permitted. Illinois has two different types of storm water discharge permits that are typically used in the mining and construction materials industry. The Illinois EPA issues a General NPDES permit for storm water discharges from construction site activities, which requires a Notice of Intent (NOI), the submission of a Storm Water Pollution Prevention Plan (SWPPP), a permit processing fee, and documented inspections of the permitted area. The Illinois EPA also issues a General NPDES permit for storm water discharges from industrial site activities, which requires a Notice of Intent (NOI), the submission of a SWPPP, a permit processing fee, and documented routine inspections of the permitted area. If a discharge permit is required, the mine operator must submit monitoring reports to the IEPA, with data indicating the quantity and quality of water being discharged. The water that is discharged from a site is usually a mixture of stormwater, groundwater seepage, and surplus process wash water, and must meet the effluent limitations of the permit. Along with this important permitting function, the Bureau of Water is empowered to perform unannounced, random inspections. Operators who violate Federal and State water quality laws are subject to fines and criminal prosecution. Businesses and industries discharging storm water must develop and implement a Storm Water Pollution Prevention Plan (SWPPP). SWPPP’s must be developed to describe all possible pollutants which are on site, locations where storm water runoff will likely leave the property, controls that will be implemented to manage or control storm water runoff, required training, types of inspections to be performed, and documentation which must be kept. The plan must also identify who is responsible for plan development and monitoring. The SWPPP must be provided to representatives of regulatory agencies when requested and updated any time there are changes made to personnel, the plant, or the site. In 1974, the Federal Government passed the Oil Pollution Control Act in order to regulate storage of large amounts of petroleum products. More commonly known as the SPCC Rules, this Federal Law, which applies to all States, was implemented (and is enforced) by the USEPA. The rules apply to all facilities which store 1,320 gallons or more of oils on site (in containers 55-gallons or larger) and where there is a chance a spill could reach “navigable waters” of the United States. Oils are a broadly defined category and include crude oil and refined petroleum products, animal and vegetable oils, non-petroleum oils such as coal tar and its derivatives, and lubricating oil additives. When a facility is subject to the SPCC Rules, a SPCC Plan must be developed and implemented.